Today's recipe is "Pumpkin Cheesecake with Caramel Sauce". You know how much I adore pumpkin & baking so this treat is so lovely for those cold fall/winter days. 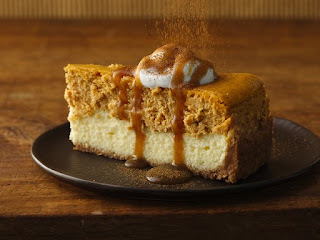 Treat your guests with this pumpkin cheesecake with caramel-rum sauce - a flavorful dessert.